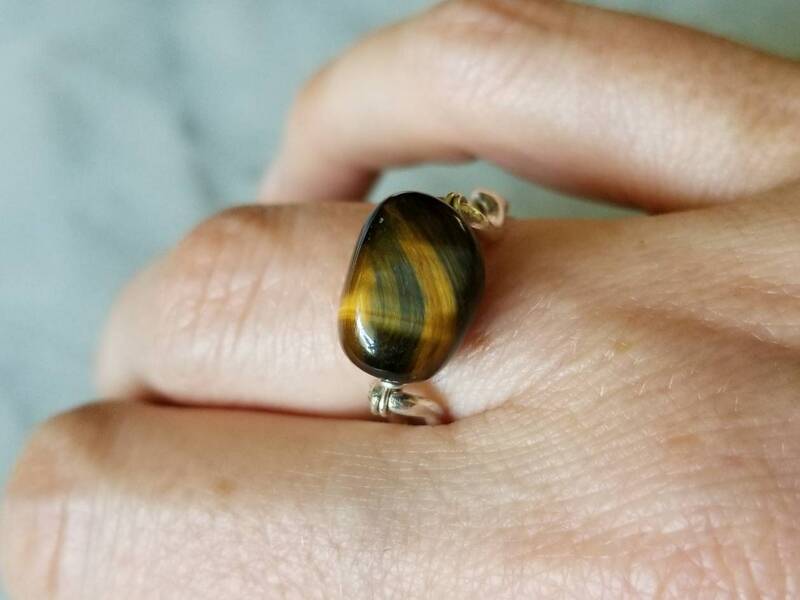 Be a boss at everything you do when you channel the energy of Tiger’s Eye, the ultimate power crystal in the world of gemstones. 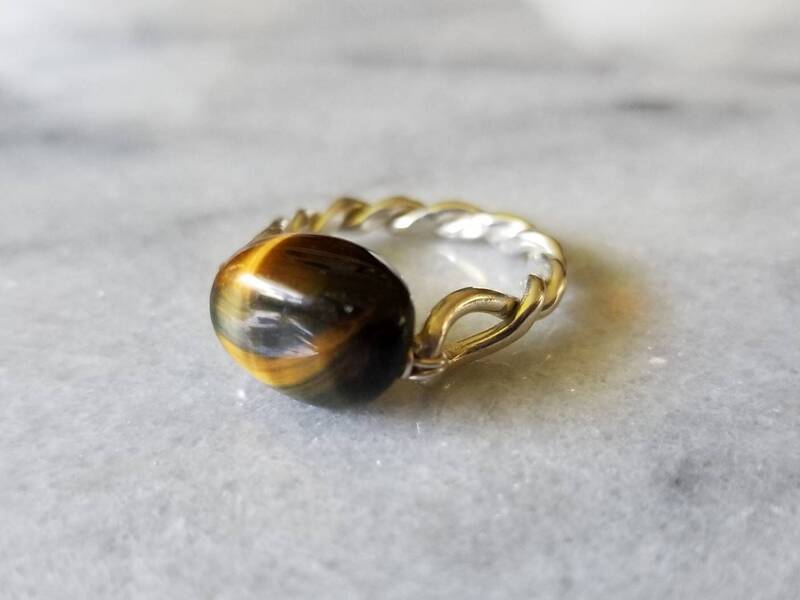 With an aesthetic as bold and intense as its healing properties, Tiger’s Eye helps balance toxic emotions by keeping the mind razor-focused on your true desires. 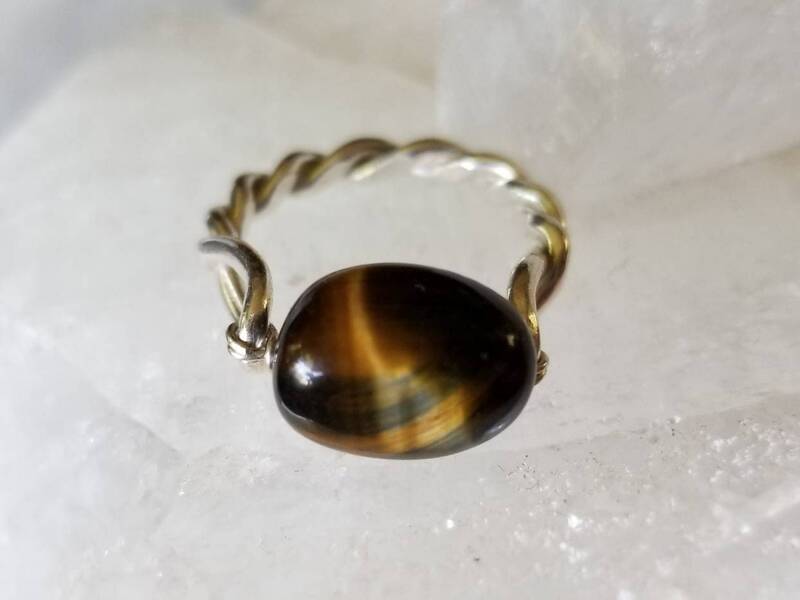 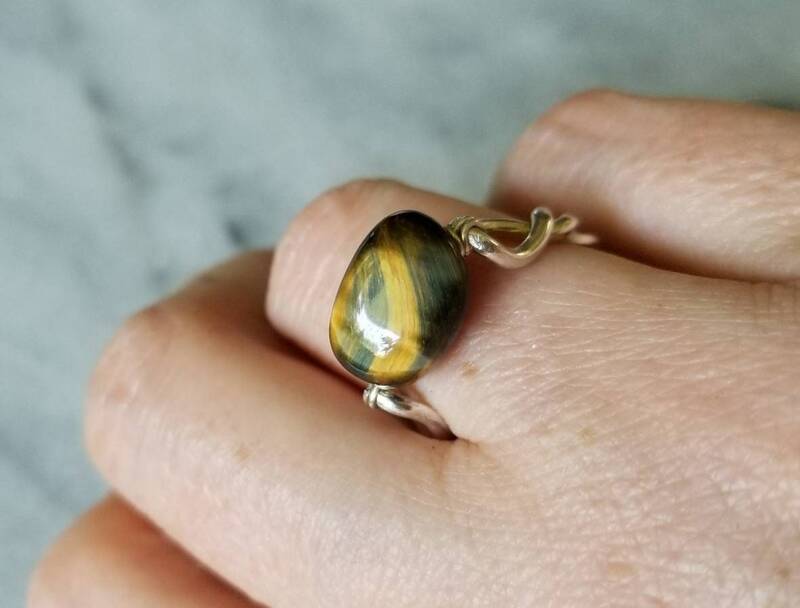 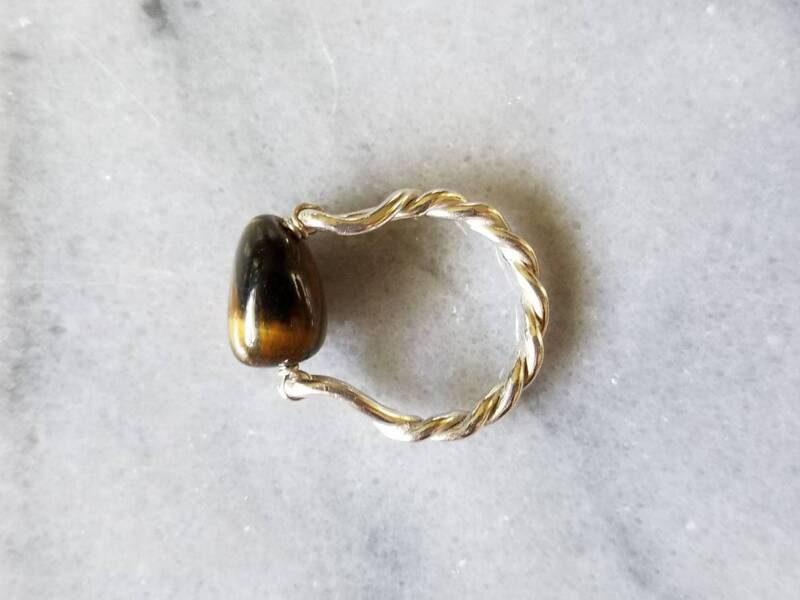 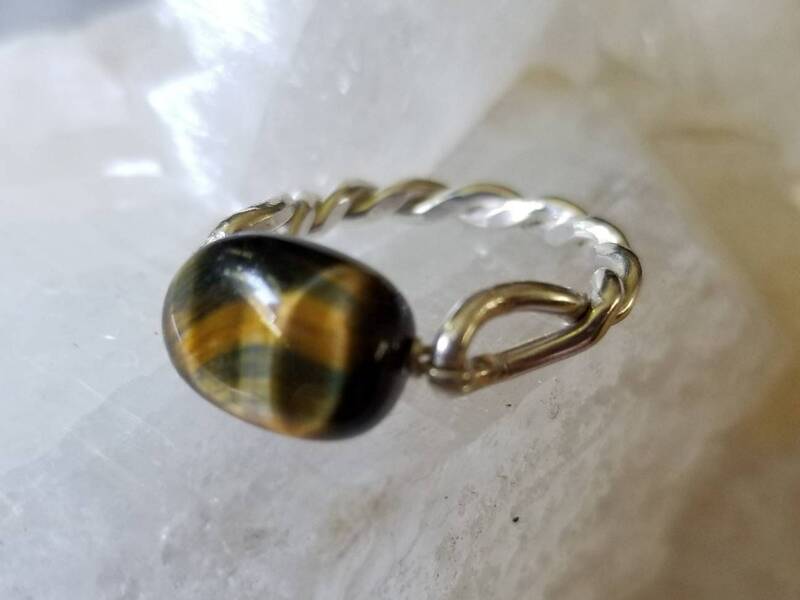 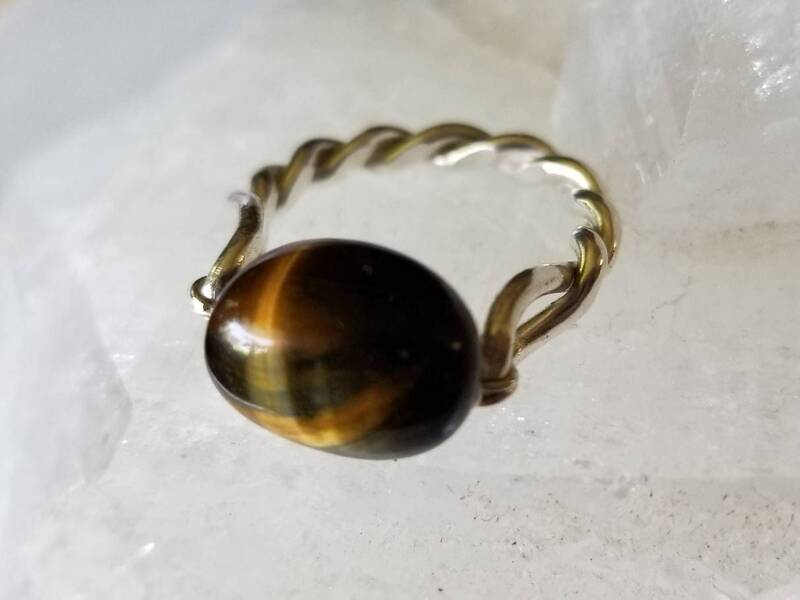 The heavy hand twisted sterling silver band holds an amazingly intense 10mm tiger eye nugget with beautiful silky bands of yellow-golden and subtle blue color. 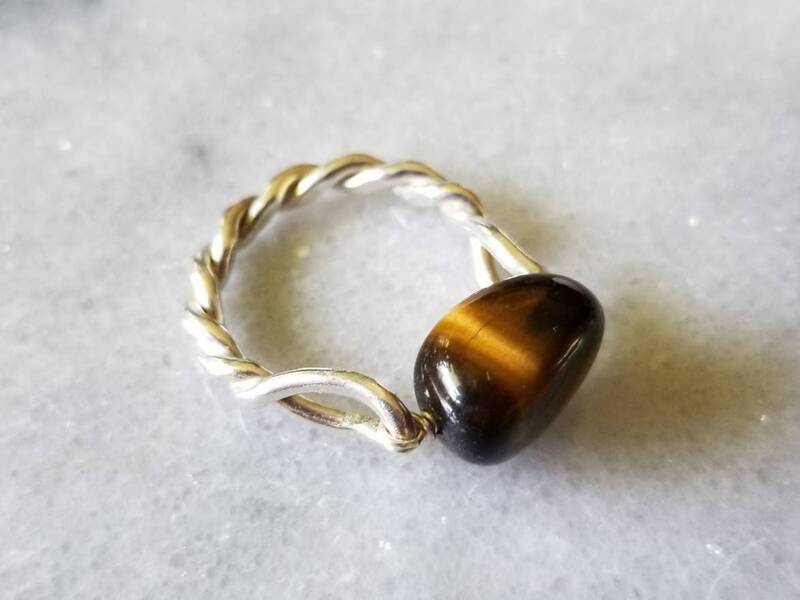 The ring is size 7.